BCF : Tommy Robinson’s imprisonment and the events that followed show just how swiftly Britain has become Sharia-compliant. The country has already submitted to its dhimmi status within Islam even though their Muslim population makes up just 5% of the country’s total population. 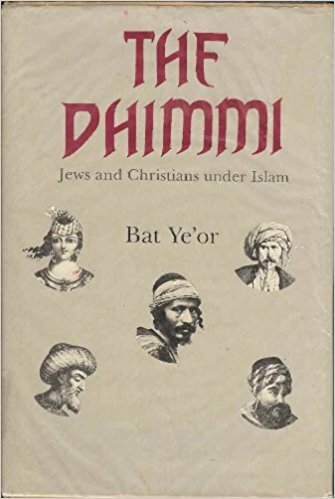 According to The Dhimmi: Jews & Christians Under Islam by Bat Yeor, dhimmi is an Arabic term used to describe the second-class status of non-Muslims in Islamic-conquered lands. Sharia deemed dhimmis to be subjugated individuals with fewer legal and human rights than Muslims. Laws in these lands denied due process to dhimmis. Strict rules of behavior r vis-à-vis the conquering Muslims were enforced by law. Dhimmis by law had to treat Muslims with deference, meaning they had to control their natural resentments against their subjugation or else face severe punishments. They had to, for example, not wear certain colors. Their dress had to be distinctive and identify them as dhimmis so as to prevent non-Muslims from walking in Muslim areas or mixing with Muslims. The tragedy of Britain’s appeasement is that its dhimmitude is being enforced for the most part by the non-Muslim British majority -- by the British police, the British elites, the British media, and the British government -- while there is a campaign of terror being waged against the sensible majority who rightly resist being made into dhimmi subjects while they still constitute the demographic majority.